This legal notice regulates the use of the web site mariebel.com (hereinafter referred to as WEB), which is owned by ESPECIALITATS M MASDEU SL (hereinafter referred to as MARIEBEL). By browsing MARIEBEL website the person becomes a user and that implies full acceptance without reservations of all and each one of the conditions published in this legal notice, advising that these conditions may be modified without prior notice by MARIEBEL, in which case we will proceed to publishing and at the earliest opportunity. Therefore, it is recommended to carefully read their content if you wish to access and make use of the information and services offered on this web site. The user also undertakes to make proper use of the web site in accordance with the laws, good faith, public order, traffic and this Legal Notice, and will answer to MARIEBEL or third parties for any damages that may result on account of breach of this obligation. Any use other than the authorized use is expressly prohibited, and MARIEBEL may deny or withdraw access and use at any time. The web site and its services are of free and open access. However, MARIEBEL may condition the use of some of the services offered on its website to the prior completion of the relevant form. The user guarantees the authenticity and accuracy of all data communicated to MARIEBEL and will be solely responsible for false or inaccurate representations. Disseminate criminal, violent, pornographic, racist, xenophobic, offensive content, inciting terrorism or, in general, contrary to law or public order. Introduce computer viruses into the network or perform actions which may alter, damage, interrupt or generate errors or damages in electronic documents, data or physical and logical systems of MARIEBEL or third parties; as well as hinder the access of other users to the web site and its services through the massive consumption of computer resources through which MARIEBEL provides its services. Try to access email from other users´ accounts or restricted areas of the computer systems of MARIEBEL or third parties and, where appropriate, to extract information. Violate intellectual property rights, as well as the confidentiality of the information of MARIEBEL or third parties. Reproduce, copy, distribute, make available, or any other form of public communication, transforming or modifying the contents, unless with the permission of the owner of the corresponding rights or where this is legally permitted. Collect data for advertising purposes and send advertising of any kind and communications for the purpose of sale or other commercial purposes without their prior request or consent. All contents of the web site, such as text, photographs, graphics, images, icons, technology, software, as well as its graphic design and source codes, constitute a work whose property belongs to MARIEBEL, and none of the exploitation rights of the same may be transferred to the user beyond what is strictly necessary for the correct use of the web. Ultimately, users accessing this website may visualize the contents and make, where appropriate, authorized private copies provided that the reproduced elements are not subsequently transferred to third parties, nor are they installed in servers connected to networks or be subject to any form of exploitation. Also, all brands, trade names or distinctive signs of any kind appearing on the website are owned by MARIEBEL, and the use or access to the same may not be understood as any attribution of rights to the user over them whatsoever. The distribution, modification, assignment or public communication of the contents and any other action that has not been expressly authorized by the owner of the exploitation rights are prohibited. Hyperlinks do not imply in any case the existence of a relationship between MARIEBEL and the owner of the website where it appears, nor the acceptance or approval of its contents or services by MARIEBEL. MARIEBEL is not responsible for the use that each user gives to the materials made available on this website or of actions made on the basis thereof. The content of this website is general in nature and is merely for information purposes. Full access to all content, or its accuracy, correctness, validity or update, or suitability or utility for a specific purpose is not fully ensured. Inability to access the website or the lack of veracity, accuracy, completeness or update of the contents, as well as the existence of flaws and faults of any kind of the contents transmitted, disseminated, stored, made available, which were accessed through the website or the services offered. Presence of viruses or other elements in the contents which may create alterations in the computer systems, electronic documents or user data. Breach of the laws, good faith, public order, traffic uses and this legal notice as a result of the incorrect use of the web site. In particular, and as a way of example, MARIEBEL is not responsible for the actions of third parties who infringe intellectual property rights, business secrets, rights to honour, personal and family privacy and image, as well as the legislation on unfair competition and illegal advertising. 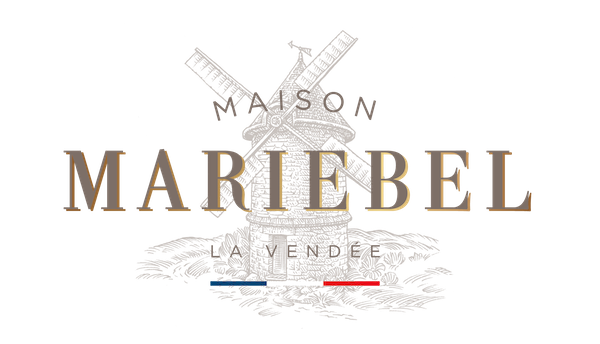 In addition, MARIEBEL disclaims any responsibility regarding the information that is out of this site and not directly managed by our webmaster. The links appearing on this website are exclusively for the purpose of informing the user about the existence of other sources likely to expand the content offered by this website. MARIEBEL does not guarantee nor does it take any responsibility for the operation or accessibility of the sites linked; nor does it suggest, invite or recommend visiting them, so it will not be responsible for the results obtained therefrom. MARIEBEL is not responsible for the hyperlinks by third parties. In the event that any user or third party considers that there are facts or circumstances revealing the illicit nature of the use of any content and/or any activity on the web pages included in or accessible through the website, they should serve notice to MARIEBEL identifying themselves properly, specifying the alleged breaches and stating expressly and under their responsibility that the information provided in the notification is accurate. For all disputes in connection with MARIEBEL´s website the Spanish legislation shall apply, and the courts of Barcelona (Spain) will be competent. The administrative information provided through the website does not replace the legal publication of laws, regulations, plans, general provisions and acts which have to be formally published in official gazettes of public administrations, which are the only instrument accrediting authenticity and content. The information available on this website should be understood as a guide without legally valid purpose. Details relating to the different treatments of personal data in ESPECIALITATS M MASDEU SL. Purpose: Provide requested services, as well as sending commercial communications and informative newsletter. Legitimacy: Execution of a contract. Recipients: Data will not be transferred to third parties, unless legal obligation. Rights: You have the right to access, rectify and delete data, as well as other rights, as stated in the additional information, which may be exercised by email to the person in charge of the treatment at info@masdeugroup.com. What do we treat personal data for? At ESPECIALITATS M MASDEU SL, we treat the information provided by interested persons in order to accommodate your request and send you commercial communications, as well as our newsletters. The data will be stored while the applicant does not request its deletion. What is legitimation for the treatment of your data? Consent of the person concerned: Accommodate your request and send you commercial communications, as well as our newsletters. Transfers of data to third countries. No transfers of data are scheduled to third countries. Any person has the right to obtain confirmation of whether ESPECIALITATS M MASDEU SL are processing personal data concerning them. The persons concerned have the right to access their personal data, as well as to request the rectification of inaccurate data or, where appropriate, seek their removal when, among other reasons, the data are no longer necessary for the purposes for which they were collected. In certain circumstances, the persons concerned may request the limitation of the treatment of their data, in which case only we will retain them for the exercise or defence of claims. Also, in the cases established by law, you will be entitled to the portability of your personal data. In certain circumstances and on grounds relating to your particular situation, the persons concerned may oppose the processing of their data. In this case, ESPECIALITATS M MASDEU SL will stop processing the data, except for legitimate and compelling reasons, or for the exercise or defence of claims. You may materially exercise your rights in the following way: by email to info@masdeugroup.com or a letter to Cami Bellavista s/n – 08797 Puigdàlber – Barcelona. When sending commercial communications using as legal basis the legitimate interest of the person in charge, the person concerned may object to the processing of their data for this purpose. If consent was given for any particular purpose, you have right to withdraw consent at any time, without affecting the lawfulness of the processing based on the consent prior to withdrawal thereof. Should you feel that your rights have been violated with regard to the protection of your personal data, especially upon failure to obtain satisfaction in the exercise of your rights, you may file a complaint with the Authority of Control of the relevant Data Protection through the web site www.agpd.es. Purpose: Provide the services you have requested, reply to your requests for information and send you commercial communications. Legitimacy: Execution of contract, legitimate interest of the person responsible or Consent of the person concerned. ESPECIALITATS M MASDEU SL processes the information provided by the persons concerned in order to provide the services you have requested, reply to your requests for information and send you commercial communications. Legitimate interest of the person in charge: Sending of commercial communications about our services and/or products. Consent of the person concerned: Sending commercial communications about our services and/or products on the basis of previous applications with the person in charge of the treatment. A cookie is a file that will be downloaded on your computer when you access certain web pages. Cookies enable a website, among other things, to store and retrieve information about a user´s or a computer´s browsing habits and, depending on the information contained and the way you use your computer, it may be used to track the user. What does this website use the cookies for? Analysis: such cookies which, either treated by us or by third parties, allow us to quantify the number of users and thus perform the measurement and statistical analysis of the use made by users of the service. Your browsing on our website is analyzed in order to improve the user experience. Session: Session cookies allow the site you’re visiting to keep track of your movement from one page to another, in such a way that it will not ask you the information you have already given. Cookies allow you to browse many pages in one site quickly and easily, without having to sign in again or restart the process in each area that you visit. Note: ‘Own’ cookies are used only by the owner of this website and ‘Third-party’ cookies are used by the service provider which is detailed in the table above. You may allow, block, or delete cookies installed on your computer by configuring the settings of the browser installed on your computer. If you reject Google Analytics analytic cookies on all browsers, so that no information about you is sent to Google Analitys, you can download a plug-in that performs this from this link: https://tools.google.com/dlpage/gaoptout.